If you have ever stayed too long at a parking meter or parked in the wrong place, you may have received a parking ticket. If you're a resident of Oregon, understanding OR parking laws can help you avoid future parking tickets. This guide will detail some of the Oregon parking laws that result in the most parking tickets for state residents. If you need more information on parking violations, the last section of this guide will tell you how to find a lawyer who can help you fight your Oregon parking ticket. Disabled parking spots are mandated by the Americans with Disabilities Act, and if you park in a disabled spot without a disability, OR parking laws have stiff penalties. You can expect to pay significantly more for these tickets than for other violations of Oregon parking laws—usually $50 to $200. In order to avoid violating OR parking laws, disabled drivers must prominently display their windshield tag or disabled license plate. Fraudulently displaying a disabled parking tag—for instance, if you were displaying a handicapped tag that belonged to another family member and parked in a disabled space when they were not in your vehicle—you are in violation of Oregon parking laws and can also be ticketed. If a disabled person allows a friend or family member to use their disabled tag, it may be confiscated by the state and not reissued. You may receive a parking ticket for any violation of OR parking laws, including parking at an expired meter, parking in a loading or fire zone, or parking for too long in limited time parking zones. Oregon parking laws require that no-parking zones be clearly marked and designated as such. You may be able to fight your parking ticket if there was no way to know that OR parking laws prohibited parking where you were. The cost of a ticket for violating Oregon parking laws varies substantially depending on the reason the ticket was received and the jurisdiction where it was received. You may want to talk to your local municipal court if you need more information on typical parking fines for particular violations of OR parking laws. In some situations, your car may be immobilized if you have committed repeated violations of Oregon traffic laws and have not paid your ticket. If this occurs, you will need to pay not only your original ticket costs, but also costs to have the immobilization device (or “boot”) removed from your vehicle. People who park in some types of restricted spaces may find that their car has been towed. In addition to a parking fine, you will have to pay an impound fee. If you want to contest a parking ticket in court, this is your right according to Oregon parking laws. 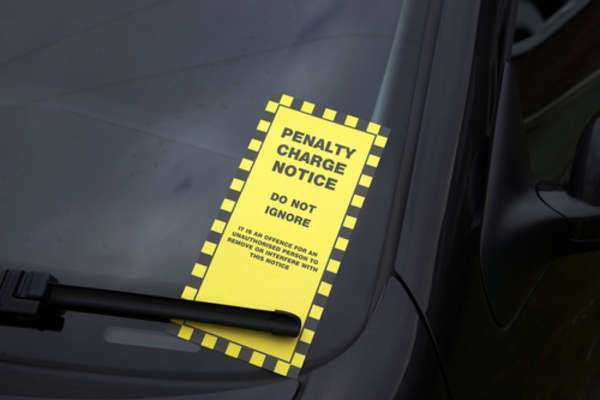 However, contesting a parking ticket can be substantially more expensive than simply paying it in many cases, and it can be hard to prove that you have not broken OR parking laws. Talking to an attorney can help you understand your legal options, and many of these attorneys will help you fight your ticket for a low flat cost.